What good is life coaching? Why do I need someone to tell me how to live my life? How would listening to someone else talk about what they think I should do really help me? Am I not capable of being my best self on my own? These are some of the questions that many people have been asking themselves and has contributed to a misunderstanding of what life coaching is, how it works, and how it can help people find out what drives them and apply it to create a better and more fulfilling life. If this description of life coaching sounds like it could benefit just about anybody, it’s because it can. Life coaching is not therapy or counseling, which pairs a mental health professional with a client who may be struggling with an illness or disability. It’s not mentorship, in which a professional is paired with a more experienced professional. Life coaching is also distinct from a training relationship, where a teacher or trainer agrees to share their knowledge or skills with a client for a short period of time. Life coaching can help fill in the gaps in our master plans and clarify the path from where we are to where we want to be. It is a partnership between the life coach and the client designed to help the client explore their options, focus on their goals, and create a personalized action plan. Life coaches do not give their clients a list of boxes to tick or a strict set of steps to follow, rather they aim to help their clients discover their own motives and goals, and aid them in finding the best path towards them. How to Choose the Right Life Coaching Training Course? Life coaching is not for the faint-hearted. It’s a career path that allows you to put your skills to use helping others, facilitating their personal and professional growth. The range of problems, challenges, and goals that clients bring to coaches is so vast, it would take an entire article just to list them all. With such a broad range of practice, there are many skills and tools that a life coach must have in order to be successful. In this piece, we provide 40 exercises, tools, and tips for effective life coaching, plus links to other resources that may prove useful. Read on to see if there are any exercises or tools that you can apply to your practice! There are numerous tools in the life coach’s toolbox, and each life coach will likely have their own tools, exercises, and methods. However, there are some tools that have so much potential, they would be at home in almost any coach’s practice. One of the life coach’s most valuable and versatile tools is the Wheel of Life. It’s a simple and easy-to-use exercise that can help clients find out which areas of their lives are most satisfying and where they would like to focus attention on improving their quality of life (The Coaching Tools Company, 2012). 2) Draw a line across each segment that best represents the current level of satisfaction, with the center of the wheel equal to 0 and the edge of the wheel equal to 10, the maximum level of satisfaction. The end result looks a bit like a spider web and can give your client a general idea of their overall life satisfaction in relation to their desired life satisfaction. You can find the Wheel of Life exercise and download a copy for yourself here. 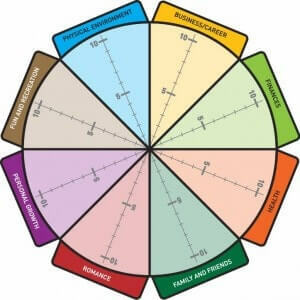 For more information on how you can use the Wheel of Life, check out this article. While we may feel like there is nothing under our control at times, there is always at least one thing we have direct control over ourselves. Even when we are under enormous pressure or when we feel trapped, we always have at least some level of control over our attitude and our behavior. The second area is that of factors we can influence. We do not have direct control over these factors, but we can put our effort into pushing them in the right direction. For instance, while we cannot control others’ attitudes or behavior, we can offer them advice, guidance, or provide evidence to help them make good decisions. The final area is things that we have no control or influence over. This is the largest area since the majority of what happens around us is not under our direct control. A good life coach will help his or her clients to recognize and accept that there is much we cannot control, but will also help them to find opportunities to effect change through taking control or influencing that which is within their reach. Life coaches can walk their clients through the spheres, helping them identify what is within their control, what is in their sphere of influence, and what cannot be controlled. To read more about this tool, plus learn how clients can apply the lessons learned to their work, click here. Keeping a journal can be useful for many different reasons, including as a life coaching exercise. Daily journaling facilitates reflection and can spark useful brainstorming about how to better strive toward your goals. Coaches can help ensure that their clients’ journaling is helpful by providing some guidance. Encourage your clients to write whatever is in their heart. This journal is personal, private, and a safe space to express their thoughts and feelings. Journaling is an excellent opportunity for clients to step into an observer role. Instruct your clients to write down things that happen to them and spend some time thinking about how they interpret them. Piggybacking off of observation, what we observe can help us reach understanding about ourselves. How we perceive what happens to us is more important than what actually happens to us, and observing how we think can help us understand our own thought patterns, which can lead to effective management of our thoughts and behaviors. This process can often lead to revelations about our desires, our dreams, our goals, and aspirations. Journaling can help us get in touch with our core selves. Keeping a daily journal makes it easier to notice problems and potential solutions, as the simple act of writing something down can make it seem simpler and clearer. Keeping everything bottled up can be extremely harmful, and just putting pen to paper can sometimes be all that is needed to release some pressure. Writing down your experiences helps your client to take a wider perspective on his or her life, as well as reminding them of problem areas and things they have to be grateful for. Raising awareness of these areas is the first step towards making the necessary changes and appreciating what they have. Quality Journaling is known to be an effective way to de-stress and decrease anxiety. Just a few minutes a day can have a major impact on health and happiness. To learn more about the JOURNAL acronym, check out this blog. The action brainstorming worksheet can help clients get out of a rut or a sticky situation. This easy to use tool is only one page long, with a table that is split into five columns. The instructions are to think of actions or behaviors that you frequently engage in or would like to engage in, and direct them into the appropriate column. In the first column, the client is to write down the actions or behaviors they would like to stop doing. These are behaviors that are not helpful for meeting any of their goals, or actively harmful. The second column should be filled with activities the client would like to do less of, such as activities that are sometimes helpful but time-consuming, or ways to destress that have been taken to an extreme. The middle column represents the actions or behaviors a client would like to keep doing. 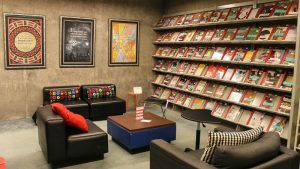 This is where clients will write down the things they do that they are satisfied within their current frequency, like regular exercise, paying their bills on time, or a weekly dinner with a loved one. The fourth column is the “do more” column, where clients are to write down the things they would like to do more frequently. For example, maybe they want to engage in a fun and fulfilling hobby more often or devote a little more time to a project that has real potential to succeed. The final column is the “start” column, which is where clients should list the actions and behaviors they would like to begin doing. This could be anything that helps them meet their goals, such as weekly yoga class for someone who is stressed, monthly networking for someone who is looking for a better opportunity, or an annual vacation for someone who is letting their life get overrun by work. This easy-to-use, one-page tool can be viewed and downloaded here. The Understanding Our Goals worksheet is intended to help clients figure out whether their goals are worth their time and energy, or to help them prioritize their goals in terms of utility. 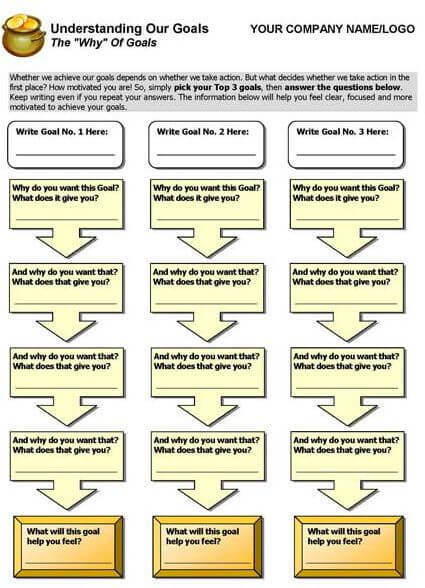 This worksheet invites readers to identify their top three current goals and asks a series of questions to help them learn about why each goal is important to them and what they are hoping to gain. These questions begin with the simple “Why do you want this goal? What does it give you?” and essentially repeat several times to help the reader dr ill down into what they are really hoping to achieve. After answering these questions four times, the final question for each goal is “What will this goal help you feel?” Once the reader has reached the heart of the goal, answering this question should be easy. As an example, take the goal of losing 20 pounds. To see the worksheet for yourself or to download a copy for your clients, follow this link. The coaching website from Kristin Houser (www.mshouser.com) is an excellent resource for instructional coaches, but the tools and tips are not limited to one kind of coach – they can be adapted or modified to apply to all forms of coaching. This is a great way to begin a coaching relationship, as it gets both parties up to speed on what the coach can offer and what the client is hoping to work on. Questions to be answered at the kick-off meeting include “What’s going well?” and “What are they struggling with?” This is also where the coach and client can set up a schedule and agree on a way to keep in touch and track progress on goals. The coaching work plan tool includes space for identifying the client, the coaching goal, brainstorming ways to support the goal(s), how you will track progress, and any other notes. As you work through the coaching process, you can also note the progress that has been made and how you can support the client moving forward. This tool is an excellent way for coaches to stay organized and devote as much time as possible to working with their clients. This tool is geared towards teacher coaches, but it can be used with any client who a coach has the opportunity to observe in action. It provides space to take notes on what the coach observes when sitting in on a class or other client-led activity. After the observation has ended, there are prompts to review the next steps and ask any clarifying questions, as well as discussion prompts for the coach and client to go over together. Finally, it ends with space for identifying the next steps. These tools can help many coaches with many different kinds of clients, ensuring that the coach stays organized and on top of their coaching duties. For more instructional coaching tools, there is an excellent resource page from www.instructionalcoaching.com that you can access here. You will find teaching tools, forms, and exercises that can take coaching from effective to highly impactful. Coaches know that to make a change, you need to first assess your current state. Assessment tools are a great way to do this, and there are dozens if not hundreds of different assessments in disparate areas that can help. No matter the area of life that a client is committed to improving, there is probably an assessment that can help them get started! These areas are identified in the context of leadership coaching, but we find that they are extremely relevant for life coaching as well. What is the intention of life coaching, if not to help the client take leadership of their own life? Leadership is a common area that coaches are called in to assess and improve. Whether it’s leadership in the boardroom, in a work team, or in one’s own personal life, leadership skills are an excellent resource to have in your toolbox. These are some of the most popular leadership assessment tools. This assessment is composed of 46 items gauging the degree to which the user has demonstrated certain behaviors. If the client is interested in getting a more holistic view of their leadership skills and abilities, they can have their colleagues, subordinates, or even friends respond to these items as well. To learn more about the Leadership Competency Inventory, click here. The quadrant in which the client has the highest score is considered their dominant style, while the next highest score or scores represent their fallback style or the style they can use when their dominant style is not appropriate or effective. This assessment is most useful for those who must practice active leadership in their work, but it can help those who may someday take on a more leading role to learn and prepare for that future. You can download the assessment and try it for yourself or your clients here. A leader high in the “Directing” style likely provides detailed instructions, specific goals, and works closely with staff. A coaching leader likes to motivate and encourage staff, both praising their success and providing feedback for them to improve. A facilitating leader involves staff in the decision-making process, listens to their comments and concerns, and is likely to have an “open-door” policy. A leader high in “Delegating” provides less detail than a directing leader, and expects staff to find their own way in navigating their goals and objectives. Like the LEAD, this assessment can be a useful tool for leaders and future leaders to think about their own personal style. This questionnaire can be accessed by anyone through SurveyMonkey at this link. Personality assessments are very common in all types of coaching, as well as the classroom, a therapist’s office, and in guidance counseling. While there is no personality assessment that can tell you exactly who you are and what is most important to you, the results from these assessments can be an excellent guide to learning more about yourself and making sure your goals line up with your priorities. A few of the most popular personality assessments are described below. Individuals can fall anywhere along the spectrum between the two poles, but they will always be a bit closer to one than the other. This results in 16 possible personality types, all with their own unique characteristics. This tool has been put to good use in the corporate world as well as in schools and universities. The idea is that when you know more about your distinct preferences, you can learn how to put them to best use. Your results are not a crystal ball in which you can see your life plan, but they can be a useful resource when building an outline of your future goals. You can learn more about the MBTI or complete the assessment here. The Values in Action Inventory of Strengths, or VIA-IS, is another popular assessment tool. This is slightly different from the MBTI in that it focuses on values instead of traits or preferences. It still provides a window into understanding your personality, but it focuses on your strengths instead of neutral factors. The VIA-IS will rank your strengths from most dominant to least, with a special emphasis on your top five. These top five strengths are where you draw the most energy from, and represent you at your personal best. The intention is to modify your life so you can put your top strengths to use as much as possible. To take the free, 15-minute VIA-IS, click here. The Personal Values Questionnaire can help your clients to understand themselves better, think about the choices they make, and ensure that their actions and behaviors are in line with their values. A mismatch between values and actions can lead to unhappiness and emotional distress, while a good match can facilitate growth and enhance well-being. This assessment, created by researcher David McClelland, will help individuals find out how important the three social values (achievement, affiliation, and power) are to them. The idea behind this assessment is that these values drive our behavior, and can help explain why we do the things we do or have the motivations that we do. This assessment can be completed online for the cost of $25. It only takes 15 minutes to complete, and it can provide valuable information for the coach and the client about their needs and desires in life. Click here to learn more about the Personal Values Questionnaire. Emotional intelligence was identified and described long after the original idea of intelligence was defined, but it may be even more important than standard intelligence as we understand it. These three assessments are some of the most popular ways to measure emotional intelligence. Find more EI assessments here. The Emotional and Social Competency Inventory, or ESCI, is a measure of emotional and social competency based on completed questionnaires from the individual as well as those they nominate to receive feedback from. They can nominate family members, friends, coworkers, direct reports, or others who they interact with on a regular basis. This feedback is analyzed to produce a report on the individual’s emotional and social competency that they can use to learn more about themselves and how they are perceived by others. This can be valuable feedback for anyone who is looking to improve or make changes in their behavior to pursue their goals, especially if their goals involve others (e.g., a goal of getting promoted or becoming a better friend). This assessment is available here and will take about 30 to 45 minutes to complete. The test consists of 33 items on a scale from 1 (strongly agree) to 5 (strongly disagree). The results include a score for each sub-scale and a total EI score. Results of this test can be used to help you and your client explore their emotional patterns and set goals for better identification, understanding, and/or management of emotions. Click here to learn more about the SEIT. This assessment includes 20 scenarios where the respondent is tasked with choosing their most likely response and 20 “ability pairs” where the respondent must choose which ability best represents their strength. You can learn more about this scale here. The Personal Directions Inventory is an assessment that provides feedback on 11 quality of life variables and 17 motivational dimensions. Completing this tool can give clients an idea of the desires that motivate them, where they are devoting their energy, and where they should devote their energy going forward. This tool provides results along all of these dimensions, helping the client to understand what is important to him or her and focusing their attention on the areas they want to improve. To use this tool for yourself, you can learn more or place an order here. Everywhere you turn, there are tips and guides for effective coaching. It can be hard to sort out which tips are helpful and which are simply common sense or not useful. These tips for effective coaching in the workplace are from a variety of sources. Some may be applicable to you and some may not, but at least a few of them should resonate with your unique circumstances. Don’t just hear your employees, but truly listen to them. Your path is not the same as your employees’; use open-ended questions to help your employees articulate their own goals. Your role as a coach is not a one-off role; help your employees to learn and grow with support, trust, and follow-ups. Acknowledge your employees’ challenges and frustrations, but help them push past the negative to look forward. Encourage them to think about potential areas for growth instead of areas of frustration. Make sure you follow through on the commitments you make. Stay accountable to your employees, and make sure they never feel forgotten or ignored in your coaching relationship. Susan Heathfield from The Balance offers another set of tips for coaching in the workplace, specifically for HR staff and managers (2016). This is especially true of an HR professional, but it is also true of all coaching relationships. You cannot be an effective coach when all parties have not wholeheartedly consented to the coaching relationship. There are many different types of coaching relationships that can be effective, but the coach and client must decide together (or with the client’s manager) which relationship best fits the circumstances. Heathfield writes that HR professionals are not the major decision makers when coaching in the workplace – that is the purview of the client and his or her manager. You can offer your services and encourage the client and manager to take advantage, but it is ultimately not up to you. It is essential that a good coach answers “I don’t know” when asked a question that he or she cannot answer. Be focused on your goal of supporting the client and facilitating growth and development, not on knowing all the right answers. It is not your job as a coach to tell the client what to do. It is your job to help the client explore the available options and use his or her personal knowledge and experience to find the right solutions. Coaching requires enhanced communication skills, including active listening, in which you give the client your full attention instead of relying on assumptions, and paying attention to body language, tone, and facial expressions as well as words. As a coach, your job is to help the client become self-sufficient. This requires you to take on the role of a teacher or unofficial trainer at some points. The coach’s job is to provide the client with the tools they need to be effective. To read up on these six tips, check out the original article here. Good coaches don’t tell employees what to do, they ask them the right questions and help them formulate their own solutions. 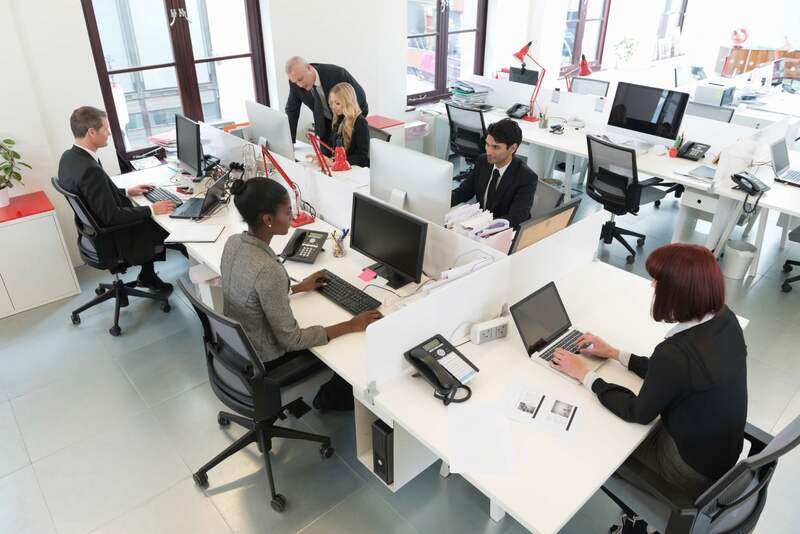 Employee development is the most important factor here, not the outcome of a small task. 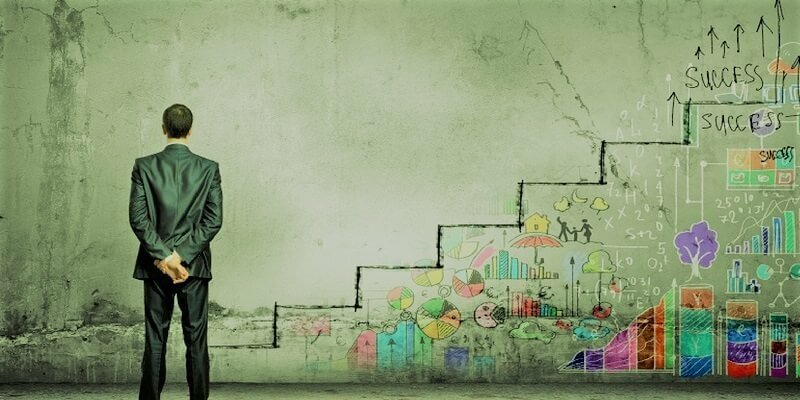 Focus on the employee’s growth rather than just their objective performance. Coaching is not about “fixing” people – it’s about helping them grow and develop as individuals and as employees. Good coaches emphasize the learning process rather than focusing on flaws or faults. Setting up clear accountability structures knowing that coaching happens as needed and in-the-moment. Setting up specific times for coaching sessions can be helpful, but so much of the coaching that takes place in the workplace happens in the moment and on the job. Be open to making each moment a learning moment, if it calls for it. Click here to read this article and learn more about these necessary skills. If you’re interested in learning more about coaching skills in the workplace, consider the University of California at Davis course on this subject. The upcoming offering begins May 1, but keep your eyes peeled for future courses. You can learn more about this course by clicking here. Before we leave you, we want to provide a few PDFs that we have found useful. Some of these are guides and manuals for coaching and others include valuable exercises and tools you can use in your practice. Click on each link to learn more. Humanistic psychology views human behavior from a whole-person perspective, trying to understand and explain behavior from the individual’s point of view instead of the observer’s. In this area of psychology, the idea of a coach or mentor giving directions to their client on which path will give them fulfillment would be met with cynicism and perhaps even laughter. This emphasis on understanding behavior from the individual’s perspective infused the practice and theory of life coaching, encouraging coaches to consider their clients’ thoughts, emotions, and behaviors to be much more important than their own. Life coaching also drew from humanistic psychology to adopt unconditional positive regard into the coaching relationship (Williams, 2012). In the practice of life coaching, it is essential that coaches give their clients a safe and encouraging space to engage, explore, and grow (Jarosz, 2016). Transpersonal psychology is a sub-field of psychology that dares to tread where few psychologists have, in the arena of the spirit or soul. This field of study includes theories and practices that explore self-actualization, development beyond conventional means or measures, and spirituality. Life coaching draws from the transpersonal psychology perspective, especially in the attempt to help clients achieve wholeness (Williams, 2012). Transpersonal psychology is concerned with human wholeness and integration, the idea of uniting an individual’s different sides or levels of consciousness into a cohesive whole. Much of Freud’s understanding of the three different parts of the human psyche is now considered out of date, but his views on the importance of the unconscious mind and symbolic thinking have had a significant influence on the development of life coaching. 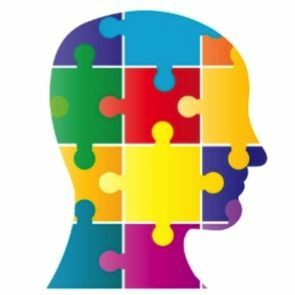 Coaches often operate on the idea that each human has a unique talent or potential hidden underneath layers of unconscious belief systems based on personal experience. While modern life coaches don’t usually see the myriad symbols and the meanings Freud ascribed to them, life coaches operate on the understanding that delving into the symbolic can unlock a client’s greater potential. As with any field of study or practice, there are numerous theories about how life coaching delivers results. Life coaching, in particular, contains within its academic borders many theories and ideas from many different disciplines (Williams, 2012). The transformative learning theory holds that humans form a specific worldview, informed by their experiences, and we use it to understand and interact with our environment (Gloss, 2012). We use frames of reference, containing thought patterns and points of view, to interpret events and assign meaning to the things that happen to us. These frames of reference are unconscious filters, elicited automatically without conscious thought and inform how we approach the events we are faced within our lives. This means that if we do not put in the effort to explore our frames of reference and understand our unique, ingrained thought patterns, we are virtually running blind when it comes to learning how to grow and change our habits. This idea of transformation through the awareness and processing of unconscious thoughts and beliefs is central to the philosophy of life coaching because it means that if we do not take the time and make the effort to step back and critically examine our own frames of reference, transformative change is nearly impossible to achieve. After all, what is the point of life coaching if not to achieve transformative positive change? The theory of emotional intelligence posits that there are multiple types of intelligence beyond the commonly held idea of intelligence as a cognitive resource. Emotional intelligence is defined as a social intelligence that informs our ability to interact with others, drawing from our own internal understanding of feelings and emotions (Gloss, 2012). Emotional intelligence includes recognizing and understanding emotions in ourselves and in others, how we use them to inform our thoughts and how we manage our emotional experiences. Those high in emotional intelligence have a greater handle on identifying and dealing with their own emotions, as well as identifying and considering the emotions of others, while those low in emotional intelligence often don’t stop to think about what they are feeling and then act accordingly, they are also more likely to misread the motives and intentions of others. Emotional intelligence theory is a widely studied and publicized theory that has influenced virtually all areas of psychological inquiry and informed many professional fields. In life coaching, emotional intelligence is a vital concept to understand. Coaches frequently use their knowledge of emotional intelligence to help clients identify and understand their emotions, help them learn to manage their emotions, and aid them in using their own emotions as tools rather than seeing them as challenges to be overcome. Cognitive behavioral theory is grounded in behavior theory and cognitive theory and is the foundation of many popular tools used in therapy and counseling. The behavior side is based on the idea that humans learn by connecting an event and its consequence and draws from classic ideas about learning and conditioning (Fazel, 2013). The cognitive side emphasizes the importance of how we interpret events and how we think about and choose our responses to these events (Gloss, 2012). The ABC theory is located within this area, a theory that puts forth three factors: the activating event, the behavior that occurs as a result, and the consequences (Gloss, 2012). Life coaches draw from this theory to help clients change their behavior by learning to understand their thoughts after an activating event, which leads to more favorable behavioral consequences. Cognitive behavioral theory allows life coaches to pursue one of the main goals of their practice: helping clients identify their unique frames of reference and any potentially problematic beliefs, to think critically about them, and to modify these beliefs to become more adaptive and productive people (Williams, 2012). This theory describes a model of adult learning and development that can be succinctly described as learning by doing (Fazel, 2013). The theory posits that individuals learn through acting and reflecting, thinking abstractly about their actions and the resulting outcomes. This process is cyclical, in which experience leads to reflection and abstraction, which prompts individuals to experiment with new beliefs or actions, in turn leading to further reflection (Fazel, 2013). A life coach can facilitate at all levels of this cyclical process, by encouraging clients to reflect on their actions and the consequences, motivating them to try new actions or set new beliefs and providing support as they explore and grow. The focus on experience and experimentation makes this theory a good fit for life coaching since it matches life coaching’s emphasis on the client as the driver of the coaching relationship. While these theories have had a significant influence on the development and current state of life coaching, not all coaches purposely draw from the literature to inform their practice. Many practitioners view their field as more of an art than a science. For an example of life coaching as an art form, see the TED talk from Tony Robbins on the lessons he has learned about coaching and what drives humans to do what they do. Robbins makes some excellent points here, including the acknowledgment that emotions can often drive humans to specific behavior far more effectively than reason. He paints a picture of a complex and involved process of discovery and transformation with each of his clients, and it is clear that he draws from his own experience as much as, if not even more than, life coaching theories and research. If drawing exclusively from the scientific literature is not always sufficient for effective life coaching, what are the other important factors that determine success? Clients are, in general, mentally healthy and as a whole do not suffer from mental health issues that obstruct their ability to achieve their goals. Clients are not empty receptacles for the coach’s knowledge and experience but are creative, resourceful, adaptive, and whole in and of themselves. Clients possess the ability to make changes to their thinking, belief systems, and behaviors, and are able to grow. Making no judgments and no assumptions about the client (aside from the three assumptions listed above). Being skilled in active listening and be able to focus on the client. 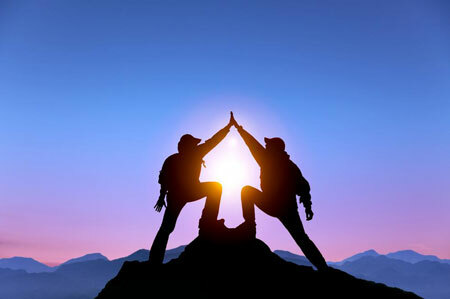 Motivating the client by being challenging and empowering, supporting clients by acknowledging their efforts and successes, and holding clients accountable for their actions. Being aware that the coaching relationship is dynamic, being ready to adapt and flexible to the client’s changing needs. The practice of life coaching must acknowledge and encourage what is good in the client and empower them to reach their greatest potential through their greatest strengths. Life coaching must occur in a safe and open environment for the client; the coach must create a space where clients feel safe enough to grow. Perhaps most important of all, the coach and client must be on equal footing in the relationship, sharing the responsibility for defining and maintaining the coaching relationship. Life coaching must be undertaken with a client-centered approach that focuses on the client as an individual with unique needs, strengths, and experience. The focus of life coaching must be on the client’s whole self, not just specific pieces of the client’s personality or in only certain spheres of the client’s life. As noted earlier, life coaching must be dynamic, as the nature of coaching involves a great deal of change in the client’s circumstances, priorities, and needs. An objective. The coaching process must have an objective, whether it is to help the client find fulfillment, life balance, or to optimize the client’s life to promote learning. A goal. Life coaching must operate with a set goal that is realistic, achievable, and measurable. A client-centered approach. A great life coaching experience extends this approach to all levels and all interactions, keeping the focus on the changing needs and goals of the client at all times. A focus on the present but with a future-oriented mindset. While life coaching must be based on the client’s current circumstances and opportunities, the coaching process must be aware of how current beliefs and behaviors will affect the client’s future and plan for future that is both desirable and attainable for the client. A stronger sense of identity and purpose for the client. The client living the life that they have dreamed about, through enhanced mental health and increased quality of life and goal attainment. This is across a broad range of goals including starting a business, expanding their social life, creating more work/life balance and improving their financial status. Achieved through smart goal setting and better follow-through, self-regulation, enhanced communication and problem-solving skills, and client empowerment with the support of the coach (Green, Oades, & Grant, 2006). Positive change in client behavior and beliefs, including improved self-confidence, self-acceptance, and insight into one’s self (Grant, 2008). Reduced self-reflection and boosted insight. A better quality of life in general, with greater well-being, increased hope and decreased stress (Grant, 2003; Green, Grant, & Rynsaardt, 2007). In addition to benefits for the client, life coaching is often a fulfilling and positive experience for coaches. Some certified international life coaches report immense satisfaction from watching their clients’ lives change in positive ways. Coaches gaining fulfillment from the coaching process and the collaborative relationship with their clients, the autonomy and flexibility inherent in their profession, and the sense of successfully applying their skills (Newnham-Kanas, Morrow, & Irwin, 2012). As it turns out, anyone with a desire to help others reach their goals and a commitment to effective coaching can become a life coach. However, in order to become a reputable life coach, you must obtain the appropriate certification. There are many certification programs an aspiring life coach can complete to acquire the necessary skills, and the International Coaching Federation provides the necessary framework to infuse the industry with more rigor and professionalism. TheInternational Coach Federation evaluates coaching programs and provides institutional and individual accreditation and certification to life coaches and institutions that meet their standards. In a line of work that is attempting to establish itself as a respectable and legitimate profession, organizations such as these provide a much-needed service. TheInternational Coach Federation offers the “Training Program Search Service”, an advanced search tool which allows aspiring life coaches to search for programs across the world on the basis of their personal preferences. Along with this service the ICF also certifies aspiring coaches based on three different levels; Associate Certified Coach, Professional Certified Coach, and Master Certified Coach. For those who do not have the time or money to enroll in an accredited coaching program, becoming certified is still a possibility through submitting a portfolio. A Master Certified Coach (MCC) certification is the highest level that a life coach can obtain. The road to becoming a certified life coach is often winding and intimidating. 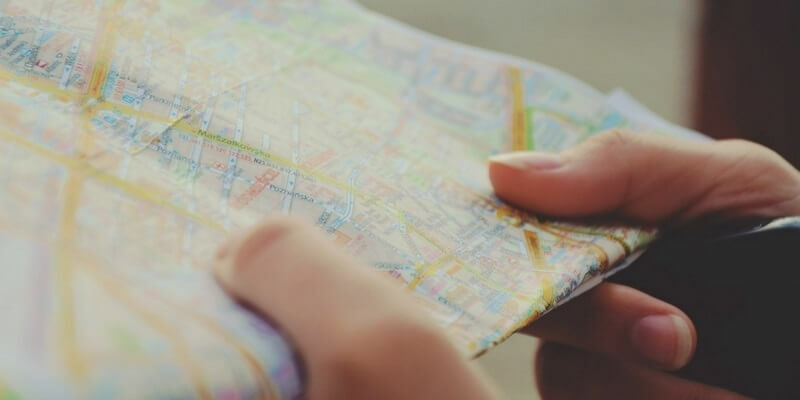 However, whether you decide to become an Associate Certified Coach, Professional Certified Coach, or Master Certified Coach, you’re sure to deem the process a rewarding journey. Earning a life-coaching certificate is a simple process but choosing the right one is tedious. Thus, it is imperative to understand thoroughly about what these programs can offer before deciding on a program. What are you considering when choosing a program- Cost, duration, distance vs. onsite, time commitment? Are the faculty members within the program certified? What area of coaching does the program specialize in? Do you agree with the approach the program takes to coaching? Does it align well with your values? Is the coaching curriculum evidence-based? Does the program provide opportunities for practice? The best courses will offer plenty of chances for you to implement the skills learned, and this coupled with regular supervision and critical feedback will help you build the coaching skills you need to become a successful, accredited life coach. For more information on the practice of life coaching and tools that you can use in your own life, check out the excellent podcasts by the Life Coach School and the wealth of information at the School of Coaching Mastery Blog. As a $2 billion dollar industry with around 50,000 practicing life coaches worldwide, life coaching is a bustling and varied practice (Jarosz, 2012). With so many different practitioners, styles of coaching, and courses there are many ideas out there about where the field should go next. Some researchers in this area believe life coaching needs to settle on a more unified definition and approach (Jarosz, 2012), while others are more concerned with strengthening the theories behind life coaching with more empirical research (Fazel, 2013; Grant, 2008). Some life coaching professionals are concerned with expanding life coaching to reach more people in more realms of life through family life coaching (Allen, 2013) or health and lifestyle coaching (Venditti, Wylie-Rosett, Delahanty, Mele, Hoskin, & Edelstein, 2014). Meanwhile, more colleges and universities are seeing the signs of a healthy future for life coaching, and offering programs and courses focused on the field (“Inside the Coaching Industry”, 2015). No matter the future, life coaching has found an appropriate home with positive psychology with its focus on strengths instead of weaknesses and the assumption of ability instead of disability. The outlook is looking good for this growing field, and it seems that society is reaping the benefits. For some clients, focusing on a goal is all it takes to become motivated to achieve it. For others, however, self-determination does not come as easily. In fact, according to Eric Barker of Time magazine, motivation plays a larger role in the success of an endeavour than knowledge and money (Time Magazine, 2014). In many situations, people believe that rewards are the best source of motivation. Unfortunately, rewards only work temporarily as recipients can begin to believe that they must earn a reward to continue being motivated, or they may feel that the reward is not good enough for the work that has been done (Barker, 2014). Progress itself, along with positive emotion and a mentality geared toward the goal are proven and sustainable positive motivators over time. MindTools provides some excellent guidelines for setting attainable goals. One incredibly vital lesson you can learn and impart onto your clients is that positive behavioral change does not happen overnight. In order to make progress, takes practice and perseverance towards the goal, taking one day at a time. From suggestions like a workout or reading a book to spending more time with people who motivate you and make you happy, the article provides a wide idea which can inspire new habits for a positive change. There are always going to be new exercises, recent studies and approaches on the cutting edge and staying on top of them is the challenge of every professional, new or seasoned. Subscribe to websites, academic journals or blogs which will keep you informed with regular updates, Coaching Toward Happiness is one example. Access the Free Management Library for links and articles to gain even more knowledge about the best ways to help your clients. You may feel like nothing has worked for your client so far. You’ve tried exercises, goal-setting, team-building, but your client isn’t seeing much progress. Don’t give up, you never know whether you and your client are on the brink of success! Studies have shown that life coaching really does work, despite the apprehensive doubt in its beginning stages. By combining several facets of psychology with a personalized approach for active listening, life coaching has the capacity to generate results. Mark, the subject of a study by Biswas-Diener, successfully changed his attitude and stress level about his new work position in just ten sessions with his life coach (2009). This was possible with the VIA Character Survey, with which your client can become of what assets are already present ready to be cultivated. Working from strengths gives you a good foundation on which to build. As a life coach, you are training or preparing your client for success in life, but his or her success is ultimately dependent upon individual drive and perseverance. You can train your clients to the best of your ability and their capacity, read the latest studies, and follow the newest procedures, but the end result is based on the motivation of your client, and the true skill is in recognising when to pull back and give your client the space to learn and grow no longer needing your support. As always, we hope this piece has been helpful. Life coaching is a noble venture, filled with generous and inspiring coaches and clients who are eager to learn. If even one coaching relationship is enhanced by these tips, tools, and techniques, we will consider it a worthwhile use of our time! Please let us know in the comments if you’ve tried any of these tips and tools, or if there are other tools you love that we did not include. Thanks for reading, and happy coaching! Courtney Ackerman is a graduate of the positive organizational psychology and evaluation program at Claremont Graduate University. She is currently working as a researcher for the State of California and her professional interests include survey research, well-being in the workplace, and compassion. Emily Schultz is a 26 years old psychologist. She works in special education and is interested in English and writing. Lexis Clark is a Graduate Student at the University of Kentucky working towards her Master’s degree in Counseling Psychology. She aims to use the therapeutic skills learned in her program to facilitate the development of positive mindsets in clinical populations. Heather Sodowsky is a graduate student at American Military University, currently holding a Bachelor’s degree in Psychology. She is an avid learner and aspires to be a teacher and writer. She is the mother of a son and two bonus daughters. In her spare time, she enjoys reading, playing softball, and spending time with her family. Allen, K. (2013). A framework for family life coaching. International Coaching Psychology Review, 8, 72-79. Fazel, P. (2013). Learning theories within coaching process. International Journal of Social, Behavioral, Educational, Economic, Business and Industrial Engineering, 7, 2243-2349. Green, S., Grant, A., & Rynsaardt, J. (2007). Evidence-based life coaching for senior high school students: Building hardiness and hope. International Coaching Psychology Review, 2, 24-32.
International Coaching Federation. What is professional coaching? Jarosz, J. (2016). What is life-coaching? An integrative review of the evidence-based literature. Internal Journal of Evidence Based Coaching & Mentoring, 14, 34-56. Kucharz, L.M. (2015). 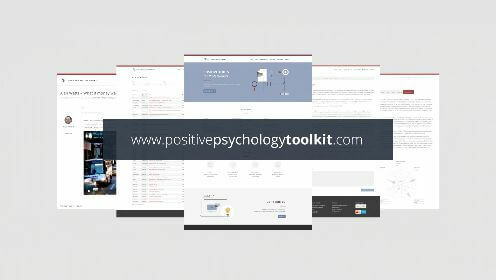 Inside the Positive Psychology Coaching Toolbox. Leo, C. (2011). What is life coaching? Newnham-Kanas, C., Morrow, D., & Irwin, J. D. (2012). Certified Professional Co-Active Coaches: Why They Enjoy Coaching. International Journal of Evidence Based Coaching and Mentoring, 10, 48-56. Pagliarini, R. (2011). Top 10 professional life coaching myths. Stewart, J. (2014). Positive Psychology Coaching: 10 Amazing Discoveries About Gratitude. Williams, P. (2012). Looking back to see the future: The influence of humanistic and transpersonal psychology on coaching psychology today. International Coaching Psychology Review, 7, 223-236. 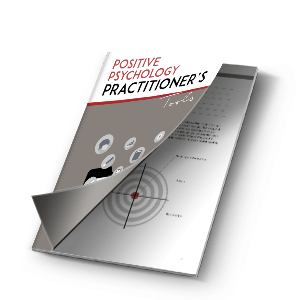 Combining psychometric tests with coaching is a very powerful combination. Understanding the personality type of your client is key to finding the right approach and achieving breakthroughs. Thank you soo much for this, I am new to all of this and this page has all the information I need to get started. Many thanks again. This indeed is a must read which is very informative in keeping with the latest inform on Life Coaching. We need to sharpen our minds with efffective know-how and i am glad that you have published this very valuable piece of work empathically.